I don't know about you, but I am someone who hates waste. I hate the waste of food, the waste of money and the waste of inorganic packing materials. I am always thinking about the impact I have on the environment and ways I can reduce my carbon footprint just a little more. I recycle, I compost, and I beat myself up mightily when I forgot my reusable shopping bags. I love learning about companies and brands that are working hard to create more environmentally friendly products. Cartons use 1/3 of the packaging compared to cans. They are also recycleable and result in 60% less landfill waste than cans. Because cartons are re-closable, you can use what you need and save the rest for later. No need to break out the tupperware for the leftovers! The unique packaging process preserves the flavor and nutrients of food without the use of preservatives. Tetra Pak® cartons are made of 70% paper, a renewable resource, from selectively harvested, re-grown trees that are FSC-certified (Forest Stewardship Council). That's certainly enough to make me seek out more products in packaged in cartons over the conventional cans. Pacific Foods carries many things I use frequently, such as almond milk and chicken stock. And I am psyched to discover the pumpkin puree, as I go through a lot of it at this time of year. I hope other companies will follow suit and start using more Tetra Pak cartons to package their goods. This weekend was our family tree-trimming tradition, where I make a huge batch of pancakes to sustain us before we get that tree lighted and decorated. We often do it for dinner, but this time we made a big brunch out of it and I made my Pumpkin Pancakes with the Pacific Foods pumpkin puree. They were just as good as always! I am also thrilled to tell you that I get to host a giveaway for a $500 Visa Giftcard AND another $500 donated to a charity of your choice. Who doesn't want that??? The catch? 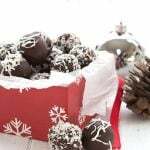 All you need to do is leave a comment telling me about your smart holiday recipes that use ingredients in cartons or “smart” entertaining tips that produce great tasting food with little waste. I always use almond milk.. for everything! I use it for baking and for every day cooking. My daughter drinks it in her cereal, we use it for homemade pancakes and waffles, muffins and cakes. It is a staple in my house. I did not know about the pumpkin puree. 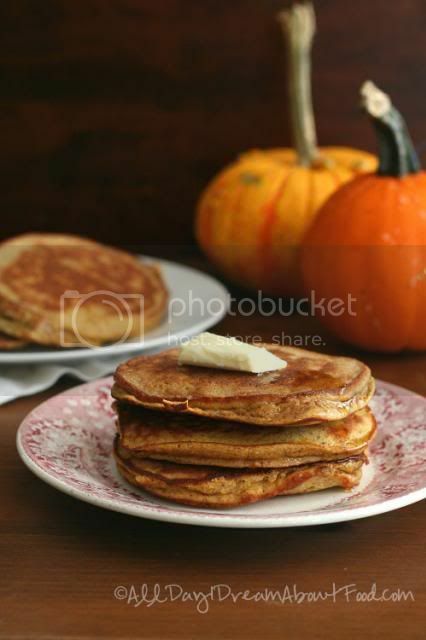 I go through lots of pumpkin all year round I am a pumpkin fanatic! That is awesome! Well, Ive taken to canning my own canned goods like chicken stock, tomatos and such but I don’t think that is what you want ot here about. I do prefer soup and stock, if I buy it to be in the cartons rather than cans. What am I going to make? Well, since I try not to use a lot of canned goods I’m not really sure but I can say that Pacific Tomato Soup is my favorite with a nice toasted cheese sandwich on a winter day. I use the pacific stock when I’m not able to make my own. Pretty good stuff. I also enjoy their soups in cartons. Flavor seems to be much better. Used the pumpkin in a carton this year. Great! trying to avoid BPA in cans. I use their chicken stock all the time! Love it! Chicken stock and veggie stock are my main carton pantry items…until now. Look at all the choices! Thanks for the opportunity! I recycle, reuse and repurpose anything and everything. I enjoy using the chicken stock for holiday and every day recipes. I love using boxed broth and purees! Pop the top and you’re done. No can opener and no tupperware. It cuts down on time so I can bake and cook more fun food! I have a great pumpkin chili recipe that could utilize the pumpkin in a carton. I just saw Italian tomatoes in cartons this weekend. Didn’t have time to check, but if they are San Marzano, they will be my new go to tomatoes for soups and sauces in the winter. When I don’t have homemade stock available I but the carton stock. I love how easily the cartons smash to make lots of room in the recycle bin! And now I want to find the pumpkin puree you mentioned! We use Pacfics Cream of Chicken to make our Green bean and Asparagus Cassarole. Now that I know about the Pumpkin it will definitely be bought to use in making our Pumkin and Pork Stew. Thanks for sharing. I love the vegetable stock for everything, but especially risotto this time of year. I’m always eager to support companies that are concerned with our environmental impact. My turkey and ham bones from Thanksgiving get saved in the freezer to make soups for the family at Christmas – I always love tying the two holidays together like that and getting every last possible use out of those bones. I don’t use a lot of premade stock, pumpkin or cranberry sauce (I almost always make my own), but I love the idea of cartons instead of cans. I’ve never seen pumpkin or cranberry sauce in cartons before, and I think it’s a fantastic idea. I love Pacific brand stock. Great taste and less waste! We always use our decorative pumpkins to make pumpkin pie. I buy the small ones and then after Halloween but before they go bad we cook them and purée them and freeze it so we can make pies for the holidays! Love it! When I have the time, I make chicken broth/bone broth (in crockpot) and freeze it in mason jars so I’m not wasting the chicken bones and have the broth in my reusable mason jars. When I don’t have the time, I use chicken stock in the cartons. I always keep cartoons of tomato soup on hand for quick delicious meals. Sometimes I eat the soup plain, sometimes I doctor it up using: goats milk cheese, fresh or dried basil, red pepper flakes or garlic, for a different taste. Yum! My main “in a box” staples are almond milk and chicken and beef stock. These items can be used for so many yummy things! I have a recipe on my blog for spinach tortellini soup that calls for broth and tomatoes. Although I normally use bullion (takes up less space in my tiny kitchen), I’ll be on the lookout for tomatoes in cartoons here on out! I love to shop the farmer’s market every weekend and especially during the holidays when stores get crazy! That way, I can bring my own cloth bags and simply buy the fruits and veggies I need without all the extra packaging. I try to make the most of everything. My mom grew up very poor, so as a result she taught me how to use very bit in the kitchen. All bones are saved for makeing broth and stock. Veggie peels and ends also for said stock. 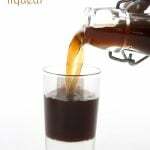 The juice from your dried cranberry recipe I use for my sons drinks. Empty cans are used for grease catchers. I love buying products who use less packaging. We recycle, I drive electric. I want to help keep not just my family healthy, but my earth as well. Almond milk and chicken stock are staples in our pantry. When I buy soup, I prefer cartons over cans. We made a GF feast for Thanksgiving at a cabin. The cartons packed way easier than cans. We used a lot of cartons of chicken stock for GF cornbread dressing and potato soup. My wife always keeps cartons of chicken stock in our pantry. I use a carton of chicken broth in my chicken and dressing and my low carb milk comes in it as well. TetraPaks may be made from recycled materials, but are they recycled themselves? In the UK, most local council do not allow TetraPaks to go in the recycling bins, as they are still plastic coated, making it more difficult to recycle than glass and even some forms of plain plastic packaging. I am not sure they really represent less waste in the long run, sorry! We try to use “natural” serving bowls, such as a scooped out squash for hummus dip, we used with the vegetable tray at Thanksgiving. It’s unique, pretty, and functional, and no paper or plastic waste. We’ve done this with melons for fruit in the summer, which is more commonly done, too. I’ve used chicken broth in cartons for some time now, and use broth for everything from soups to dumplings, to dressing. All of the soup I make has a chicken broth base. I love using chicken broth instead of water in savory recipes. I use chicken broth in a carton. Much easier to use then a can! Like most people on your site I love to use stock in cartons as opposed to cans. I have garbonzo beans in cartons, soups, and especially tomatoes! When tomatoes are out of season these make a great substitute. Holiday entertaining is easy when using seafood and other WHOLE FOODS…no packaging when you purchase all in homemade cloth bags! They can be washed and reused endlessly and you can package your produce without the grocery store plastic! I use stock, almond milk, half and half, soups, egg whites, etc. from cartons. I agree that they preserve flavor better, and I do believe they are recyclable…. I also often use a tofu that is in a carton. Food companies should use them for other things that come in a can, especially vegetables and beans! I ALWAYS use the chicken stock in cartons, mostly because the organic stuff doesn’t seem to come in cans anyway! I would love to try the pumpkin purée in a carton as well! I use almond milk for eggnog. Beef and chicken broth for soups, stews and chilli. I definitely prefer cartons. Better flavor. Almond milk and chicken stock. Didn’t know about the other choices. I’ll look next time I’m shopping. Love the concept! I’ve been having the worst luck finding organic cream of chicken or mushroom soup—much to my delight, not only did I find this organic soup at Whole Foods–but it was packaged in Tetra Paks by Pacific Foods. AND they were on sale! Needless to say, I stocked up for the holidays and beyond, for sure! I use chicken broth from cartons to make yummy homemade chicken noodle soup. It’s perfect for winter! To use leftover turkey from the holidays I make my own cream of mushroom soup and add the turkey, any frozen veggies and the soup topped with cheese in a casserole dish. Cream of mushroom soup is really easy using tetra pak chicken stock…saute the sliced mushrooms with finely chopped onions if you would like, add chicken stock and a little milk or cream, add any spices you like, get it to just about boiling, mix up some corn starch in water and add it to the sauce, boil for 1 minute and you are done. Can you tell I don’t have a specific recipe. I am an add a dash or this or that kind of cook. As long as it sets up well with the corn starch it is a very forgiving recipe. And of course better than anything you can get out of a can! I love the tetra packs of chicken broth and any other items I can find in this type packaging. We just made turkey soup from our leftovers and it was delicious. I always buy their broth, but I haven’t seen the other products yet. I will start looking! I buy bouillon in a jar so I can make what I need without having to open a new carton of stock. I look for foods that are in cartons or jars that I can re purpose. Neat giveaway! 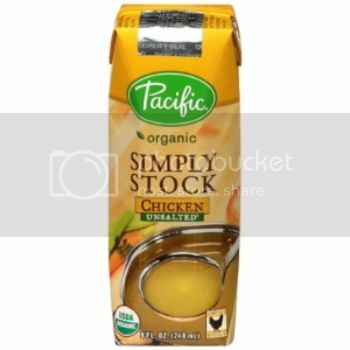 I love the Pacific chicken stock in a carton – I always try to keep some in the cupboard. Used quite a bit on turkey day – makes lovely gravy with the turkey drippings, thickened with a little xanthan gum. I’ll have to keep an eye out for the pumpkin puree in a carton! I love Pacific’s Organic Roasted Red Pepper and Tomato soup. We just ate it last night actually….and I saved the leftovers for today. 🙂 Reusing, right? I also hate wasted food. I hate the taste of cans! It seems to permeate the food inside. This year I found pumpkin puree and its wonderful! Already made a pumpkin cookie with one of them. I enjoy Pacific’s soups, almond and coconut milk too. This was the first year I saw pumpkin puree in a carton. I tried it and it was so easy to use. I wash the jars I use throughout the years and fill them with mixes or cookies or treats as Christmas gifts. I always buy Swanson Beef and Chicken broth in cartons for my soups. Living on a farm, my trash is collected once a month, so space is at a premium sometimes! I love to grow and can my own vegetables, but I can’t grow all of them! I will be hunting for this kind of packaging from now on. Thanks for bringing this to our attention!!! Like a lot of other readers, I buy stock, almond milk, soups and egg whites that already come in tetra packs. But it is great to see additional products are available in this green form of packaging! This mean that I can feed myself good food while doing something good for the environment. I will definately be using the pumpkin puree to make pumpkin muffins to sustain me with all the holiday travelling. 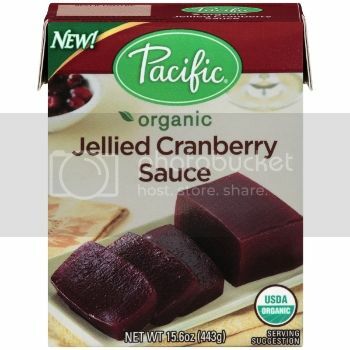 I absolutely love Pacific Foods and use it all of the time to make gravy for the holidays or soups that I can freeze and bust out on busy nights during December. Hey Cassidy! Nice to have you comment. I’ve been meaning to email and check in. Hope you’re well! I use chicken and beef stock in a box for many different recipes all year long. I also love unsweetened almond milk. Two of my go-to items. I had no idea how great that packaging is for the environment! I love the Pacific products, and now I feel even better using them! The soups are really good. I use their stock when I don’t have any homemade stock. I am definitely going to look for that pumpkin puree as well. I always us the Pacific stock. I love the packaging. I use their stock all the time. And use their soups too. Love them! While I have used almond milk and stock in the cartons, I never realized how great the packaging was. Thanks so much for the insight and for the opportunity in the drawing. Will definitely seek this product out in the future. I plan on doing a lot of stews this season just because they sound delish for the cold! oh, my gosh, I always buy soups and soy or rice milk in tetra packs (as well as coconut milk and coconut creme), but had NO IDEA that actual pumpkin puree came in them — SO looking for that now. Love these products. I added chicken stock to my mashed potatoes ANC they were so good. I use pacific stock and soups in many of my winter recipes. I’ve been using Pacific Food’s organic “cream of” soups for a couple of years now and I love them. I’ll be using the cream of mushroom soup in my green bean casserole, and the cream of chicken soup in a hash brown casserole. When I run out of homemade chicken stock, I always go for some in a carton. 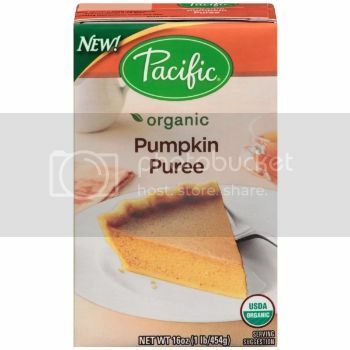 I will look for the Pacific Organic Pumpkin next time I am out shopping! I use their chicken stock in a carton in a pinch. I used to enjoy their almond milk until realizing it contained carrageenan. Now I make my own almond milk at home with almonds from the bulk aisle, put into my reusable bags. Even better than a carton – no packaging waste! True, Heather. But it can be a step in the right direction. Perhaps we need to push our municipalities to recycle the cartons. I buy my coconut milk in cartons, as well as my protein plus almond milk. I also get Pacific’s soups in carton’s, and their stock. It’s hard to beat the quality of Pacific but also the carton’s are much more shelf friendly compared to a bunch of cans (in my opinion!). Hate cans, use everything that is available in cartons that I can…I live in a rural area sadly, and selection is very limited. However almond milk, coconut milk, and broths are all frequent carton-y pickups for me. Cuts down on the cans. I just discovered soup in cartons. I love it so much better because I can throw the left over soup back in and when I am done it crushes up so small. As for minimizing waste at parties, we always keep some wine in the kitchen and have an assembly line for dishes so we don’t have to use paper and plastic! Great tasting food with little waste- buy local like pumpkin to cook and make desserts from scratch. I use beef broth in a carton to make my roast beef. I use carton chicken stock and crushed tomatoes. I will be on the lookout for the pumpkin purée! Rice pudding and my grandma’s fudge, both with almond milk! Since learning about BPA I use canned food as little as possible. We regularly use Pacific’s broths and I love their tomato soup. Also I started baking pie pumpkins for my pumpkin baking needs last year. No more pumpkin in cans for us. I’ll be checking out Pacific’s cartons of pumpkins. What a great idea! I used chicken broth from a carton to make Chicken Chowder Soup. 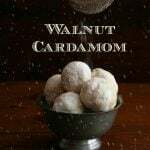 A family favorite in these cold winter months! I use the almond milk everyday for my breakfast smoothies and literally just got done using their broth in a creamy wild rice mushroom soup! My smart holiday recipe using cartons this year will be pumpkin I also use the chicken stock during the holidays. Here, our milk comes in cartons normally. I also use soy milk, chicken broth, protein drinks, juices… there are a useful handful of recipes I use them often in, since I love using soy products. So much better for the environment than cans! I use their stock and soups. I will have to look for the tomatoes though. I have not seen those in cartons. Thank you for the generous give away. I use almond milk in a carton in all kinds of things: coffee, smoothies, cereal, baking. I also use chicken and vegetable broth in cartons. Thanks for a wonderful giveaway! This is my biggest no waste entertaining tip – thrift store stop for extra plates, cups, extra silverware and cloth napkins. It doesn’t matter if they’re not all the same, just go for SOMEthing in common (ie, the color green) and go with it! Then, whenever you have company, you have plenty of washable products to use, instead of going through paper plates, etc, like water! I Always use almond milk and it comes in a carton. I use it for all milk in baking and cooking! I am just a newbie cook and just learning how to repurpose foods for more entrees. I plan to make beef tenderloin for our Saturday holiday party, then I am making sliders with the ground trimmings for football Sunday. We use almond milk every day. On special occasions when I’m making gravy, I use chicken broth packaged in paper. I’m intrigued by that pumpkin puree in a carton – need to seek that out. I never make my own stock so always have cartons of low sodium veggie broth in my pantry. I have been seeking out and supporting companies that do this type of packaging for years. I almost exclusively buy stock and soups in this packaging. When you think about it, it’s great for the stores, too — they can stock the shelves in an easier manner, as the packaged take up less space. I was so happy to find the pumpkin in cartons. It was of an excellent quality for pumpkin muffins and bread as well as adding a bit to my pampered dog’s food…:) I try to avoid the use of can gooods due to the BPA exposure, although some companies are starting to make their cans BPA free. The cartons flatten easily and don’t take up much room in the recycling bin. I think my waste saving entertaining tip is that we make a huge dinner for Thanksgiving Day and Christmas Day, with a whole organic turkey. And then we eat the leftovers from that meal for lunch and dinner for the next 3 days. It feeds my family plus my mom and brother. Cooking that one big meal saves time and energy, uses the oven only once, one set of bulk ingredients, one trip to the store, one set of cookware to wash, one big clean up. Thank you so much for the chance to win!! I am a big fan of Pacific’s Organic products . Its always a staple in my pantry. A good friend of mind got my hooked on the products years ago, as I was recovering from a bad root canal. One of my to go recipes when I do not feel like cooking a lot. but would like something that will stick to my ribs is a dish I make with caramelized onions and poblano peppers and I use the Pacific’s Organic chicken broth to make a batch of quinoa and I top this with Pacific’s Organic Roasted Red Pepper and Tomato soup with in 20 minutes or so I have a meal that seems to stick to your ribs with out the guilt. I didn’t know there were so many advantages to the cartons over cans. I’ve been making lots of pumpkin recipes for the holidays, and will have to try pumpkin from a carton. I love their chicken and vegetable stock, the only ones I use. As soon as I find some of the cranberry sauce in a carton I will use it to make my version of Matrimonial cake which substitutes cranberries for dates. I have used the Pacific chicken stock in risotto for ages – love that it is organic. I use pumpkin in the carton year round for so many recipes, like overnight oats or cookies. I also use chicken stock and vegetable stock from the carton as well for any recipe that calls for stock. I always prefer to get Almond milk in tetra pack cartons. I love my Buttermilk cartons…they keep fresh longer . Storage and opening is always easier. Thanks for the nice write up here. I love the soup stocks in the Tetra Pak when I don’t have homemade stock made. They can be recycled in our area and it is easier than opening so many cans! I make a lot of soups and stews during the fall and winter months to really stretch our food budget. I love that you can reclose these and save it for another day. The stocks are great! I always choose the cartons over cans. Always. 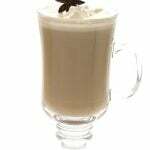 I buy almond milk and flax milk in cartons and use it for low-carb egg nog. Unfortunately, cartons aren’t recyclable at our location. I always try to limit the amount of paper products I use especially with the amount of paper towels and toilet paper. If you don’t NEED that much, don’t use it! I also like other readers, always use almond milk and try to use homemade canned goods. Every little bit helps! If I don’t make my own stock, I always use Pacific brand stock. It’s the real thing! Cartons are awesome! Chicken and beef stock go in many of our favorite holiday (and year round) meals. I always use stock in cartons for my gravies, mashed potatoes, and soups that I make all winter season! can easily be stored in the fridge w/o transferring to another container. I always use the organic broths in a box. I cannot remember the last time I bought broth of any sort in a can. I don’t know if it’s just me but I think they have a better taste in the box. I also used the pumpkin puree for this, and last, Thanksgiving’s pumpkin pies. Wonderful products! I think the idea of buying products that are packaged in recycled or recyclable materials is great, but misleading. It perpetuates that idea that as long as it’s recyclable it’s ok to consume. All recycled products can only be recycled so many times, often only 1x, before it ends up in the landfill, creating waste. How about we encourage people to buy whole foods instead of packaged. With this idea, there is little to no waste and the foods are not processed prior to our consumption (containing most or all of the foods nutritional benefit). You can also buy bulk in many places now, reusing containers over and over again, producing NO Waste. For the holidays, try making your own almond milk – 1 cup almonds, 3-4 cups water, a little stevia, honey, or maple for sweetness if needed, maybe even a little vanilla(get a vanilla bean and scrape it), blend and pour through a nut milk bag; this makes about a quart of almond milk if using 4 cups water. Best almond milk you’ll ever have! 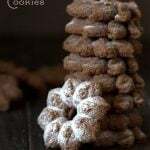 Not to mention you can then dehydrate the pulp and have almond flour for free (to get a fine flour, run it through the food processor once dehydrated)! Happy Holidays on that NO WASTE note! I love to make a lot of different treats, but in each of them I replace the sugar with a healthy sweetener like Swerve or erythritol. Thanks for the giveaway! 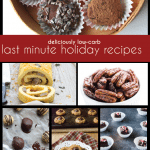 I make sure I plan other meals around the ingredients I am using for holiday entertaining. So, I used up the rest of my apple cider that we were not using in my turkey brine. I might use the rest of the cream from my caramels recipe to ship for pies. Fresh herbs might get dried if I know I will not use them before they go bad. Leftover mashed potatoes get diced onion added and fried for breakfast the next day. Turkey bones go to make turkey stock, ham bones make beans! As far as cartons go, I am new to using them. I do like the shape and how easy they are to stack. My toes thank me for using them, so they do not fly out of the cupboard and fracture my foot whenever I open a door. lol I am going to be more conscious about looking for more cartons in the future when I normally would buy cans, like tomato sauce. 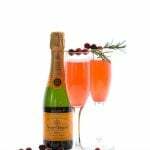 The pumpkin puree makes a great variety of holiday treats like pies and mousses and cakes…When entertaining I always make sure to make a list and I do consult the web to determine how much of what we will need for the amount of people expected. There is no waste because if there are leftovers they are frozen & later consumed , given to guests to take home or turned into a another creative meal. 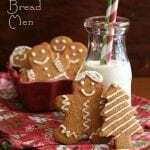 I like to use the pumpkin puree to make a pumpkin walnut bread each holiday season. Thanks! I use org broths in smart packaging. As a matter of fact I made a potato soup for dinner tonight and added a box of chicken broth. I love the new pumpin packaging and use almond milk. I use almond milk in smart cartons almost every day! I also love coconut water in the tetra packs. 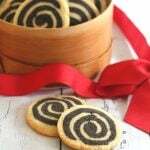 using almond milk in each of my cookie recipes! I love that the cartons are resealable since I have a tendency to use a little bit here and there I’m not wasting any. Plus I feel better buying products that can be recycled when I’m done with them, I hate creating necessary waste! I use Pacific stock in mashed potatoes. Every flavor is delicious! And the smaller, juice-box sizes are really convenient for smaller recipes. This year, I also used Pacific turkey gravy and mushroom broth when making turkey tetrazini from my leftover turkey. I use coconut milk in cartons for pumpkin custard or for pumpkin pie filling. I also use cartooned gravy because it tastes good, is easy to make, and is a gluten free gravy I can bring to holiday potlucks. I’ve readjusted my four year old grandson to his special “cereal” in the morning by using shredded unsweetened coconut, mashed up fruit (whatever I have on hand) and unsweetened almond milk. I do like the shelf stable almond milk that comes in the cartons. I use the almond milk in some of my baking recipes and ALWAYS use broth in those cartons to make soups and stews. I NEVER use cans of broth as it effects the taste. I didn’t know they were recyclable, though! That’s great news! I use the chicken stock all the time! My holiday go to items are Almond milk thai I use at breakfast for my low Carb Protein shakes that get me going every morning. My other item is broth in a carton..vegetable, chicken, beef broth are all staples in my holiday and every day cooking. I hate waste-everything here gets recycled, reused, or repurposed if possible. Throwing out food causes me pain, so I try to make homemade stocks, so i avoid buying them if I can. If not, the cartons are much easier to use and recycle. (Plus then I can buy STOCK and not broth). Dressing (aka stuffing) is the one thing I have to have it for-I avoid putting eggs in mine, so it has to be super wet to bind. Using chicken stock in my cream of mushroom soup. Have been using these containers when I can find them. I would use the pumpkin with some almond mild as lite dessert for family then the chicken broth I would make a fresh egg drop soup .Also the cranberry can be frozen for a Popsicle. I use a lot of chicken stock in my diet, it helps keep my Crohn’s disease under control. Its awesome knowing that I can recycle the cartons when done. The smaller size box’s make it so much more convenient to use just what you need when you need it…. I use the chicken stock for just about everything. Cooking rice, potatoes, and any other vegetable I am going to purée. I use it for all my holiday stuffing. I love the containers and how easily they fit into the door of my fridge so I can access them quickly. I am excited to hear about the pumpkin and will definitely be on the hunt for it. My pumpkin bread and pumpkin cinnamon rolls will be happy too! With a dairy intolerant grandchild the almond milk comes in handy because I can keep a few cartons in the pantry for when she visits! I love paper packaging and choose it whenever I can. Protien drinks, broth, almond milk. I love that it’s recyclable and folds flat in the trash. I do a lot of composting and try to use as many local products as I can. I used cartons for almond milk and broth. I can’t wait to find pumpkin in cartons. Cartons hurt so much less when they fall on your toes after someone slams the pantry door and loosens everything in the door racks! Yep, that’s my life. Wow! I love learning new things about companies that are working smart and environmentally sound. I have been using the chicken, beef, and vegetable broths in the cartoons for years. I live in the foothills and have to travel at least 35 miles to get to the bigger stores, so I do have limits to what is available to me. I have never seen pumpkin puree in cartons, that’s great! We use chicken stock for our cornbread dressing. We make a huge batch at Thanksgiving and freeze the leftovers so my daughter can get her fill when she comes home from college for Christmas! I use their chicken stock. I also make my own cream of chicken soup for recipes. I always use my leftover vegetables and puree them. I have noticed a wonderful difference in my feelings and grocery bill after trying to stop wasting. Wonderful article and tips from every one! Thank you for this chance! Organic Chicken Stock makes a perfect base for all of my low carb soups! I make at least one crock pot full of soup each week during the winter, and they all start with an organic chicken stock base! Thank you for making such a great product! I like the boxed stock. So nice to have on hand and nice to be able to securely close and store in the fridge. I use lots of pumpkin purée this time of year so I’ll be on the lookout for that one. I use chicken stick in so much. It’s a staple that I keep in my pantry. I just discovered chopped tomoatoes in a carton. I had no idea and I’m really happy to be made aware of how much better these products are. I always wish I could get unsweetened almond milk in smaller boxes. I often just need a small amount for a recipe and then the rest is wasted as I don’t really use it for other things. I’ve seen it in smaller boxes as sweetened but not unsweetened ~ Silk brand only. I am aiming for a zero waste kitchen. One way we used boxed organic vegie broth to entertain was to make some outstanding roasted squash soup in vitamix. broth and coconut milk (homemade in vitamix) curry powder and other seasonings to your taste. sometimes a big spoon of peanut butter or almond butter. 5 minutes in vitamix and hot enough to serve. vitamix lends itself to much less compost since many fruits and vegetables can be used without peeling. we don’t have a vehicle so walk or bus everywhere. buy most foods from local csa, farmer’s market or in bulk from food co-ops. much less packaging to reuse or recycle. store all dry goods and leftovers in glass or mason jars take our coffee bags back to local roaster to refill with our fair trade organic coffee. cook from scratch so don’t buy ready prepared foods and eat out very infrequently no weird carry out containers for leftovers. I think I might be blessed in that many products in Australia do already come in cartons rather than cans. My favourite waste reduction method is to make my slow-cooker dishes first, and then use the leftover liquid from those as stock for the next dishes. It imparts so much more flavour! This way, there’s no waste from the first dish, and I’ve one less ingredient to use for the next. 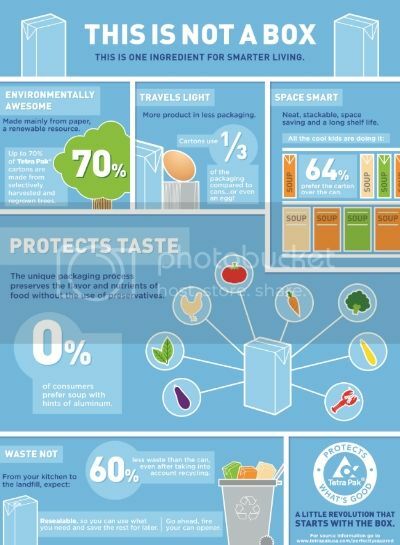 Cartons, what an amazing concept in packaging! Lets hope all pantry items will one day take on this carton over can concept! How does any cook get by without premade stock in their pantry? I can’t do without it! I use cartons instead of cans and support brands that care about the environment. Just recently made the switch to cartons instead of cans for stock. I already use Pacific products because I love cartons over cans-less waste and easier to store leftovers. I also love using these products when I am crunched for time so I don’t have to make my own chicken stock! I like to make risotto and chicken stock is perfect for it! Just takes one carton. We use almond milk for a ton of holiday recipes. Some recipes do call for heavy cream…whatch ‘ya gonna do? I’m so glad I found this site. Knowledge is key to making healthy and wonderful tasting foods. This site offers a lot of knowledge and value to readers! My family loves to can and those glass jars are reusable! That being said, it is a lot of work and through a busy week one must have the option of buying such items. Lots of stock canned from the Thanksgiving turkey. We use it for rice dishes, stews and even vegetables. I don’t feel it will last beyond February. I love it when companies like Pacific take on the issues of social responsibility. This makes it easy for consumers like us and we don’t have to feel guilty that our food containers are negatively impacting our world. How lovely it would be if everyone put forth such well-thought-out efforts. 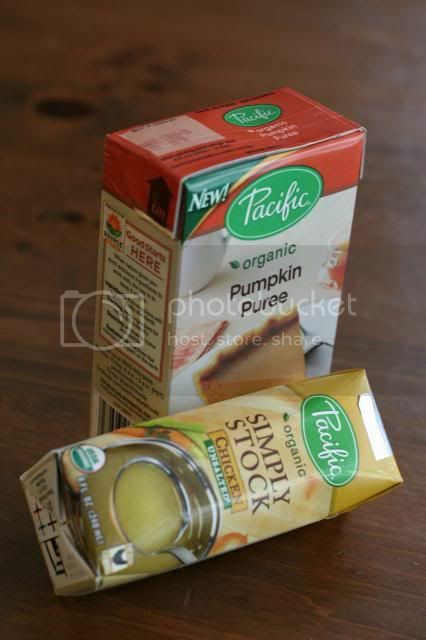 I love using Pacific stock to make gravy or soup, and almond milk for puddings, desserts, and baking. Almond milk in pumpkin pie is the best! I try to use as little packaging as possible by buying many things at Farmer’s Market or in bulk (so I can re-use my own containers) Fresh local produce makes the best meals! I love buying/using things in tetra-paks because they are easy to store/stack. I learned years ago to not waste anything. We make most of our meals from scratch and have leftovers a couple of times a week. I’ve even been known to bring home a chicken carcass from someone else’s house to make soup. I put it in the crockpot with all the scraps and some carrots. onions and celery and cook it on low for hours and hours. It’s quite amazing and easy as heck. I use broths from cartons, as well as almond milk. coconut milk and heavy whipping cream are always in cartons. I also use stocks from cartons! I always make my own chicken stock and I use almond milk in cartons. I always have almond milk in pantry that I use for smoothies. I use their chicken stock and soup all the time! Love it! I am familiar with Pacific’s soups – I’ll look for more of their products at the store. I try to buy cartons instead of cans because they seems to take up less space in my cupboards and refrigerator. My recycling company even offered a free month of service for posting a photo of a recyclable carton on their facebook page. We enjoy cooking with these stocks and I use them mostly for soups! 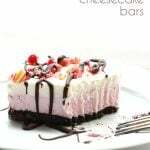 Always use whipping cream fresh in a carton for chocolate mousse. So delish! When you have a chocolate craving it does the trick. I also only buy stock in cartons cans seem to have a tinny taste and all that BPA gross! Have a wonderful day! I use Pacific’s tetra box of their chicken broth as a base for a lot of my sauces during the holidays. I do actually use cartons instead of cans whenever possible. I like using leftover chicken to make Arroz con Pollo, my family loves it and I get to stretch leftovers even further. I’d use Pacific Foods Organic Chicken Stock to make this delicious recipe. Ingredients: leftover cooked chicken,1 cup rice,3 cups chicken stock,mixed veggies,1/2 onion, 1/2 green bell pepper,1 tomato, 2 cloves garlic,1tbsp butter, 1 chicken bouillon cube, salt and pepper. Directions:In a skillet saute onion, tomato, bell pepper and garlic. Add the rice and when it begins to turn gold add the chicken, mixed veggies, bouillon cube and chicken broth.Stir gently and reduce the heat to low. Cover the pan and cook until the liquid is absorbed. I always like to do a half ham. There’s so many ways to serve it at a party, from appetizers to main course or do-it-yourself on rolls, then the leftovers go into sandwiches, grilled cheese or scrambled eggs. Finally, the bone goes into the freezer to make bean soup later, and even that makes so much that I freeze some for the next cold snap. Almond milk, almond flour, soup, chicken stock, nut butters, flaxseed meal, ketchup, bbq sauce, even ice cream… all that I buy I try to get in cartons, trying to stay away from BPA, perservatives & artificials! After Halloween, eat that pumpkin! Roast the seeds and flesh, makes me sick to see them tossed! I love using carton chicken stock for Southern style chicken and biscuits. Around the holidays I can use turkey stock/broth to make turkey & rice soup with what we had leftover from Thanksgiving. I just tried Pacific soup, Lentil and Red Pepper, it was very good. I like having these soups around because as you know cooking low carb is not always quick and easy. It’s the holidays so with all I was needing to do, I just grabbed this box, opened and had a great lunch. A little higher in carbs due to the lentils but I figure this better nutrition than something else and more filling. Ate my soup and I was ready to get back to work cleaning the house for company. I like to use a carton of chicken broth to add great flavor to mashed potatoes. Thanks for the great giveaway! Whenever we make a Turkey in my house whether it be for Thanksgiving or another holiday or just to make since we like it a lot, almost nothing goes to waste. The leftovers are used to make sandwiches for the next few days and the bones/carcass is used to make a delicious broth/soup. My mom likes to use chicken broth in a carton to help prevent drying out when reheating left over turkey. I’ll use cartons of black bean soup to create an even better black bean soup. Strange I realize, but I’ll take one carton and puree it, add rice and then add a carton of black bean soup and you have a black bean soup with great texture! Delicious. I always use Pacific Chicken stock with leftover turkey from Thanksgiving to make delicious soup!